This is our monthly post in which we acquaint ourselves with various ways and methods of watching tv program cheaply. Lemmy Morgan April 2019 update also promises to be insightful as always. So, take a seat and read on as we entertain you with trending news in the world of satellite TV and IPTV. There is a little to focus on these months. I will be channelling my energy into reviewing two very similar IKS/FTA decoders. I am talking about non-other but G-Sat and unique plus. 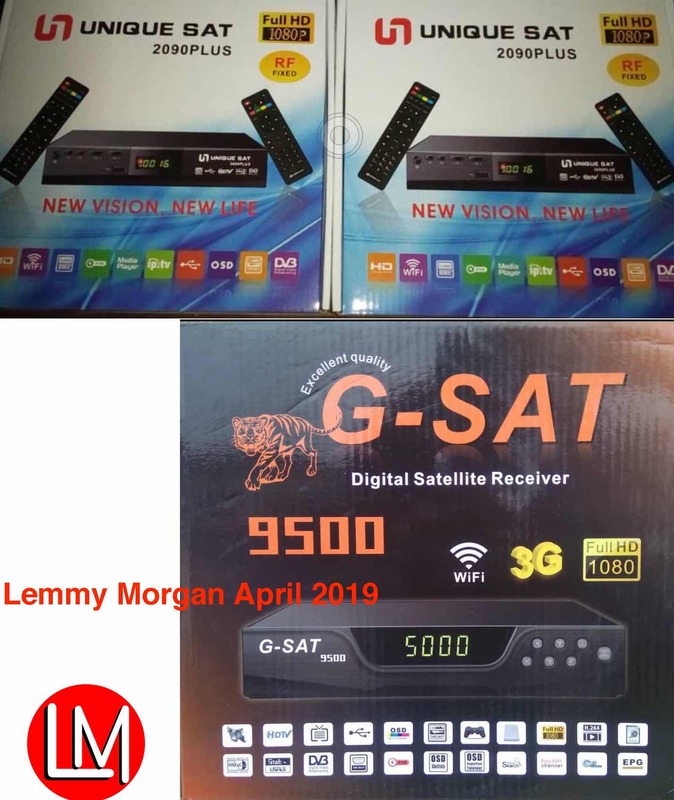 What is hot on Lemmy Morgan April 2019 Updates on Satellite, IPTV & Data? This segment combines both official and unofficial means of watching paid TV contents. Some may require you paying to a 3rd party supplier that is not authorized by the original content owner. As a sound of warning, the intention and purpose of this article are to develop, inform and educate. After all, without the knowledge of blackhat hacking, white hat hacking will be nothing. lemmy morgan is not part of your action and decision. Your discretion is strongly advised. Aside FTA channels which are 100% free and legal, the next in line of cheap satellite Tv viewing is IKS. Today on Lemmy Morgan April 2019 update, we shall be looking into IKS decoders with unique features. Remember that sometimes back, I reviewed tigerstar M5 super which happens to be the only decoder that can open beOUT sports without internet. Today, I have set aside two very similar decoders that perform similar IKS functions. 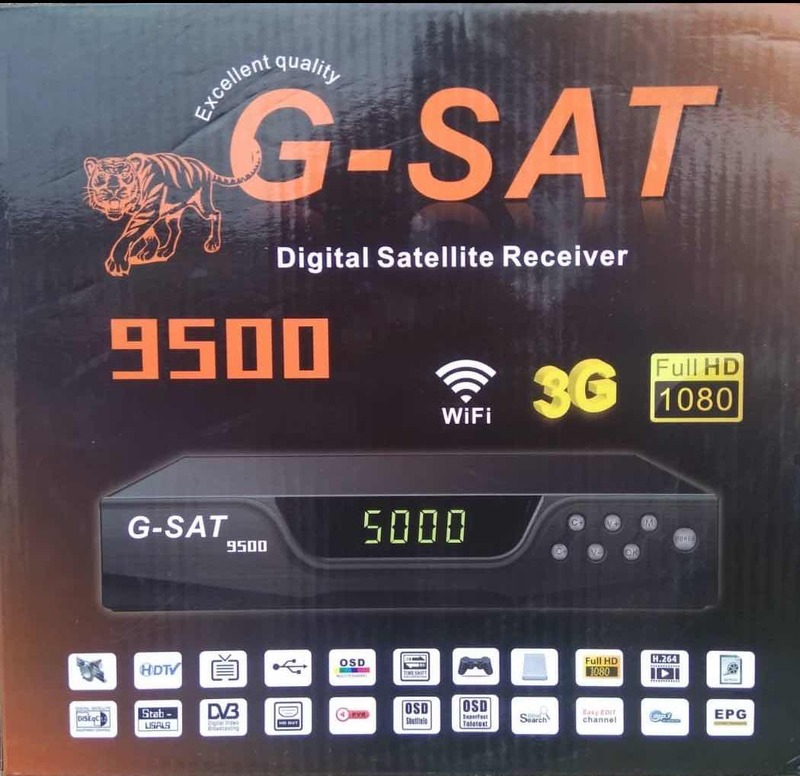 These decoders are G-Sat 9500 digital Satellite receiver and Unique Sat 2090 Plus. G-Sat Receiver can load either X-tream or Dqcam only. Alternatively, G-Sat can load E-vision+Tcam+Dqcam. As a result of the above, we can say G-Sat Receiver is capable of opening satellite TV channels on: hotbird, hispasat and so on(via Dqcam). It can also install Tcam account that can open canalsat 22w. Finally, G-Sat can open either Xtream IPTV or E-Vision IPTV but not bought. Furthermore, G-sat releases timely updates to meet up with new technology. For example, the original G-sat receiver that was produced in 2018 didn’t come with support for xtream or e-vision IPTV. But today, they have software that supports either of them. Unique sat is 2090plus is similar to G-sat in every department. However, it is newer in the market than G-sat. Many will go for g-sat over unique sat simply because the latter has been around for a while. Both are made of the “Surplus Chip”. This chip is the most easily modified of all receiver chips. G-sat is older than unique plus and has more trust. Also, they can both open the same packages. Finally, they are sold at the same price. The channels on this particular frequency are two: Skysports HD and Skysports Premium. The frequency for these channels is: For security reasons, contact your installer. You can also check lyngsat. I have it in good authority that after the brain behind the pop-up sky sports channels is currently selling the smartcard for it. Once you buy the smart card, you can insert it into supported FTA decoders such as strong decoders and watch the channels. The validity is indefinite. If you still care about a cheap alternative that requires no internet connection, then you must get specific tigerstar decoders that still auto-roll powervu and biss channels. A lot of tigerstar decoder like; M6, M5 super, t3000, t8 ultra and so on can open the following packages. Sony entertainment Channels on both Asiasat 105,5e and Intelsat 68,5e alongside AFN Network Channels. Note: You need a big dish to auto-roll powervu or biss channels in most situations. There is the rumour of a DStv IPTV account. Well, there used to be. However, at the moment, there is none. If you have anyone who is marketing a DStv IPTV account to you, be sure that the person will be selling a DStv now” app and log in to you. Smart guys have found a way to install the DStv now app into unverified android devices such as Android IPTV boxes or smart TV. In a related development, the two leading Premium IPTV accounts in the name of X-tream, E-vision are still waxing stronger. Besides, we have other equally reliable IPTV service accounts such as homecloud, myhd IPTV platinum, royal IPTV and so on. Finally, you can also enjoy IPTV without buying an account. Just lay your hands on any free IPTV apps such as wss, mobdro, sport tv, wow sports and so on. IPTV still remains the future and this brings us to the issue of cheap data. viewsat and digicom have 1 year acccount of ostcam inside .for those who have viewsat and digicom goto setting and press 9999 iks will be activated inset your usb moderm you will see ostcam 1 year free inside. Does e-vision that is claimed in onsat 3 ,have a renewal code,, because the one which is sold in the above mentioned reciever, does not open. Thank you lemmy for these wonderful app (wss, mobdro, sport tv, and wow sports) had i know about them i’ll never wasted my money on these useless receivers (Tiger t8 v2 and C-sat). G-sat or C-sat with Tcam account that open canalsat 22w are even worst they’re not stable they only open 10 mins of the beginning of the match and 10 mins at end of the match no matter what network you used. I will advise you sport lover instead of investing on any receiver, invest on android box or android tv (I purchased my 32″ polyester smart tv less than 40k, you can get android box from 7k) install these 2 apps wss or sport tv on your android device they’re wonderful they even work with glo (i had very poor reception of glo in my area), if you have good network you can use wow sport it has better quality, my tv doesn’t support mobdro so i cannot say anything about it but i worked perfectly on my android phone. Can this channel be nabbed in East Africa? Hi Lemmy, Is that skysports beam reachable from East Africa? Its been a while since You talked, about sports channels, that can benefit us africans. Pls give Us More info on sports channels,GOD Bless U. How much is the sky sports smart card ? And do u have it or knows how one can get it. If a satellite footprint doesn’t reach my area but on the map the red line covers my area like the case with 9e and Badr 7 beoutQ sports @26e,how will you know how to calculate and know the exact sizes of dishes to be used for that satellite in that area.Eg, those who are using hotbird how did they know that 3m dish can receive in west Africa. Mr Lamire Immogoen, please how much is the price of the Smart card for Sky sports – Afrique +2? So how can one reach you? @Ovo: reach me via email. How much is the sky sports smart card ?